argues it never has been hipper!! Here are two good reasons why. The latest wave of American Rock stars (a la Ryan Adams & Mavericks ) have burst on to the scene, more than just tipping their Stetsons in the direction of their country roots, they have rode to stardom riding and bucking the mustang of a huge up surge in interest in Country Music. A new wave of song driven bands from the urban area's of The USA (particularly Chicago) energised with good old Rock and Roll, dare I say, a punk non conformist values and attitude, have redefined the country genre for a new generation and a street movement is in the process of usurping the " uncool " (old and new country) taboos. Coming in from more traditional folk area's is the Americana movement, steeped in the traditions of rural America and its folk culture. Americana has hit the heights and much chart success due to in the main a string of great lyrical and deeply rooted Singer Songwriters/Performers such as Sean Colvin and Lucinda Williams who have cultivated the ground and benefiting from the success of their peer group, beautifully silhouetted against the back drop of the phenomenal success of the sound track of the movie "Oh Brother Were Art though". Up till then Americana /alt-country had been flying in the face of the music business, battling against the machine for recognition as a form and making good ground under its own song driven steam. Post "Oh Brother" we find that audience recognition of its own culture in the states and its importance to more than simple music enjoyment en masse, has suddenly caused a sea change in the industry and the abandoned Hillbilly Baby (Which had never gone away ) has now been adopted by the said machine. Strangely and paradoxically Alt Country/Americana is no long alternative to the industry template, all the signs are tin pan alley (particularly in Nashville) is beginning see organic as the only way to go for any self respecting starlet elect. The big hair syndrome for so long synonymous with Country and its show biz façade have all but disappeared in a puff of hair spray and ruffled by the wild of a wild and exciting new stampede, and Tin pan alley are shocked and confused. A fresh creative approach of a generation which has taken the great and exciting elements of Country music IE musicality respect & love for the tradition, passion for performance and devotion to lyricism, have distilled out the crass and cheesy commerciality which has infected the form for the 30 year period of Nashville's dominance over the music. They have re-captured the heart of the music, rediscovered its soul and the business who so long have turned their back on those vital elements are struggling to catch up. Alt - Country and Americana, are now the foster Mother and Father of modern American music, and share more than their roots and are more than simple branches of the same tree they are both by the organic nature of their growth, down home, earthy, songwriter based and ironically (In these times of internet access and mp3 availability) unmodern and low-tech. An approach which without exception and paradoxically has connects all the protagonists deeply and instantly with their audience ( In the main encouraged and enabled through the auspice of the afore mention internet connections) . These are enduring connections I would argue, way deeper than any connection made with the throw away nature on the dominating media induced popular music of the day in the states and here in the UK. To illustrate further I point an accusing finger in the direction of Pop Idles. What lasting effect those new performers manufactured by the media will have on our culture is yet to be seen, but I for one am not holding my breath. This sense of abandonment to the machine is possible the main reason to why the uptake of alt-country has been so spectacular on this side of the ocean. The Old Timey energy of hillbilly and Blues which fuelled the Rock and Roll revolution in the 50's and formed the basis of all youth culture of the late 20th century, has re-emerged and is becoming "Of The Moment" again, proving in the words of the spiritual that "the circle is unbroken". Country Music is now Hip!! There I've said it!!! If you live in the north west Highlands & Islands you maybe able to tune into The Medicine Show to hear them and Chris Mills in session on Sat 6 July and for more examples every Saturday 1pm to 4pm Friday 7pm till 9.30pm 102.2 & 96.8 Loch Broom FM. Evening Standard| London | Blue-eyed boy Chris Mills [is] a Costello-like singer/songwriter with a voice that could melt chocolate. He wears cardigans onstage, sings about love as soon found as lost again, and fills the heart with wistful joy. BBC Radio Scotland Tom Morton July 4 2pm. Inverness Maple Court July 4 8pm. Ullapool Harbour Lights July 5 8pm. Loch Broom FM The Medicine Show 1pm July 6. Evanton Balnonie Inn July 6 8pm. Nairn Invernairne Hotel July 7th 8pm With She Haw. Chicago Alt-country luminary singer/songwriter CHRIS MILLS' debut UK album is a record rich with both urgency and contradiction. Produced in two separate sessions by Brian Deck (Red Red Meat drummer and studio magician/producer for Wheat, Modest Mouse, Rex, and Lois) and friend and mentor Jon Langford (Mekons, Waco Bros), it's a record that began its journey in the worst blizzard they'd seen in Chicago in years. And it ends, with the otherworldly epic "Signal/Noise", in a storm of radio interference and a heavenly host of Phil Spector-saturated voices melting into the ether. And in between, straining at the boundaries delineated by ambitious alternative pop, raw-knuckled roots rock and the unquiet ghosts of folk song craft, you can hear the sound of a world spinning between heartache and exhilaration. By turns tender and unforgiving, the ten tracks of Kiss It Goodbye are, says their author, "probably all love songs of a sort, even if some of them are horribly twisted." Those twists take the listener from the nakedly affecting "Watch Chain" and "Tooth And Nail" simultaneously paying homage to and subverting the well-turned lyrics of the heartbreak greats, to a chilling "Napkin In A Wine Glass" told from the brutally dispassionate point of view of the two principals in a tale of domestic violence - "I don't even know if I understand everything that's going on in that song," Mills says quietly - to a rockin' "All You Ever Do" with its subversive, ambiguous take on the small-town world of John Mellencamp's populist radio hits. Chris releases a new album with Loose Record within the next two weeks . I have copies of his début album here and will send his new one to any one interested in air play or reviews ASAP. Chris is available for interviews and personal appearance's. Check out the player at the bottom of the page to listen to Chris. “Beth Case and Amy Pickard sing with big country charm and Southern grace that sounds authentic. Perhaps that’s because it is.”– Philadelphia City Paper. On record and in live performance, She-Haw has an uncanny rapport, an ease which recalls the informality of a front-porch jam session. 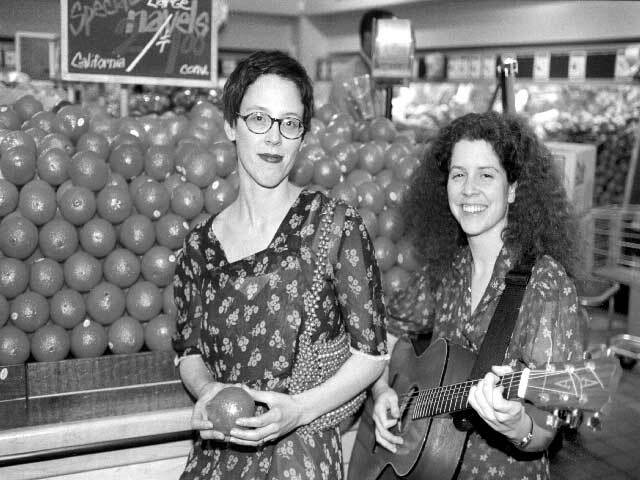 She-Haw’s original country sound has been described as “tart, smart, neo-hillbilly,” with “haunting harmonies” that “pull old-fashioned Appalachian Gothic into the here and now.” Amy anchors the songs with her guitar and Beth adds percussion, playing some combination of a beaded purse, a wooden spoon, a screwdriver and a woodblock. They’ve brought their modern-traditional take on country to crowds at Lilith Fair 1999 (where they opened the tour’s Philadelphia leg) and The Tweeter Center (where they played the side stage for Neil Young and The Pretenders). 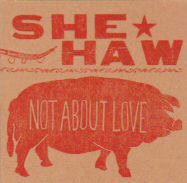 She-Haw has also picked with country/folk luminaries Asylum Street Spankers, Tarbox Ramblers, Slim Cessna’s Auto Club, Jim and Jennie and the Pine Tops, Frog Holler, and the Rolling Hayseeds. 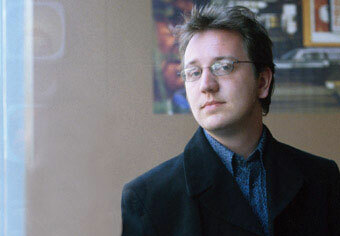 Nairn Invernairne Hotel + Chris Mills Sunday 7th 8 pm. BBC Radio Scotland Tom Morton Monday 8th 2 pm. Portmahomack Caley Hotel Monday 8th 8 pm. If anyone is interested in submitting music reviews we can use audio only if we have the consent of the artists or their representative.